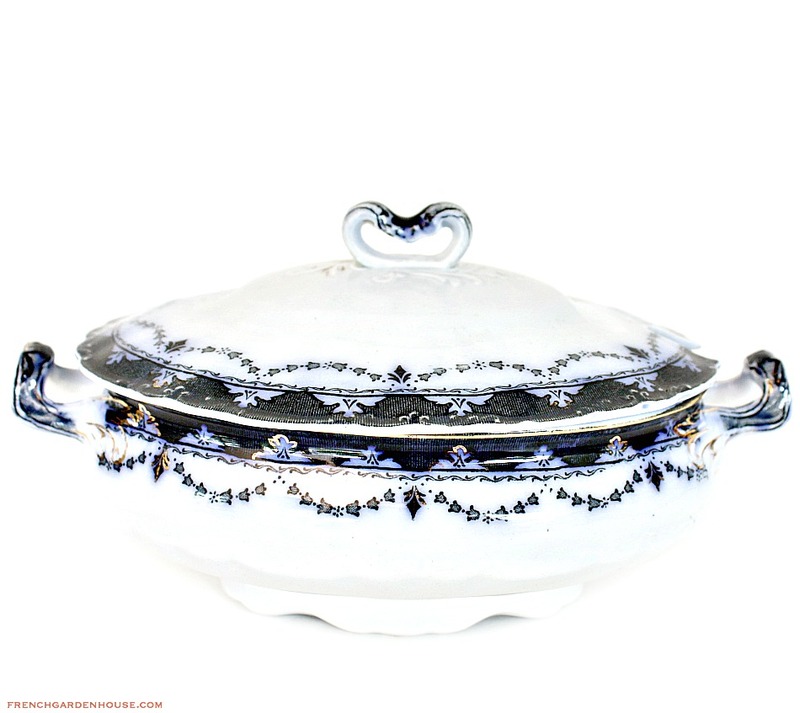 Beautifully decorative 19th century Flow Blue Covered Estate Tureen, made by Alfred Meakin in Tunstall,England, in the beloved and very collectible Chesterfield art nouveau pattern. 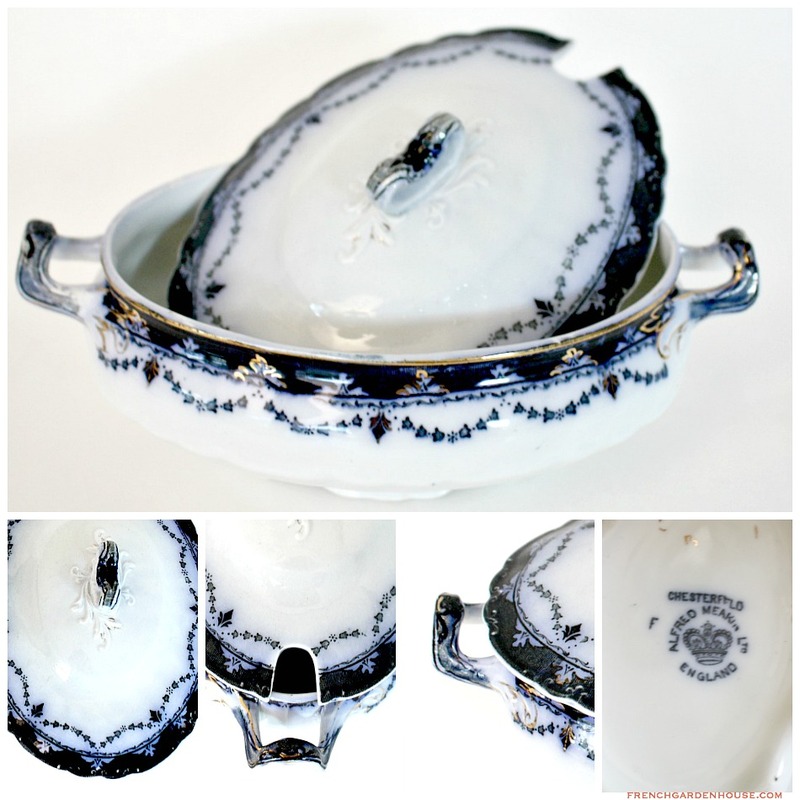 Alfred Meakin Ltd was set up in 1875 and operated from the Royal Albert, Victoria and Highgate Potteries in Tunstall. 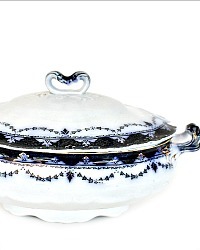 This size tureen was used for sauces and gravies at the table for service, although a vegetable will be very happily served in grand elegant style as well. A perfect addition to your collection of antique flow blue, this does show wear to the hand painted gilt trim, it is in very good antique condition. 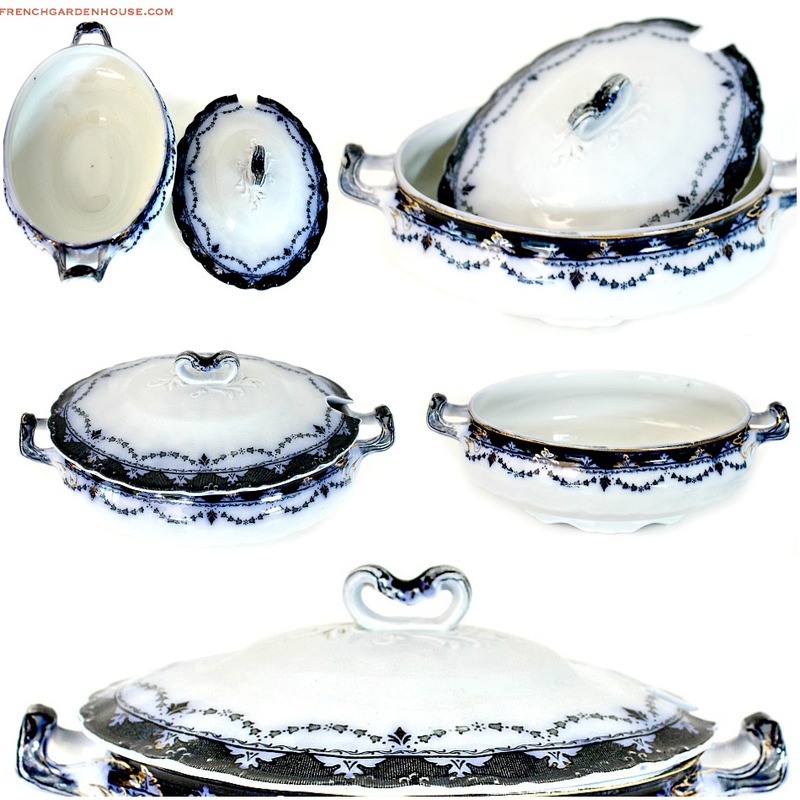 I love smaller tureens like this displayed with shells in the summer, flowers as a centerpiece, soaps in the guest bathroom, and then, of course, there this is always a classic elegant way to display your gourmet sauces to your guests. Measures 8-1/8" x 5-1/2" x 4-3/4"h.